Did you ever think of taking boat tours in Montauk as part of your family vacation? If you haven’t, then you are missing the real deal on your visits to the state of New York. Situated just over 115 miles from the gigantic New York city, this is a major tourist destination you must visit. Weekend getaways on Montauk waters, watching the picture perfect sunrise or the sunset is worth every cent you spend. Besides, it is home to the biggest recreational fishing fleet in the state. So if you are an aspiring or experienced angler, then Montauk is the place to go for fishing. Among things to do in Montauk, you can take your family or friends on a private boat tour to have quality time together or take an educational eco-tour. It will be an experience of your lifetime as you enjoy the serene blue waters on this island. 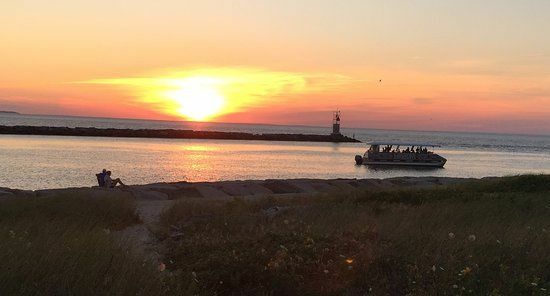 Montauk sunset cruise is one of the most popular activities in this small village. Although with a population of just over 3,000 you will find this place is home to yacht clubs and hotels among other things. You can choose how much time you wish to spend on the water, and the prices vary accordingly. Boat tours in Montauk are comfortable and safe while offering a beautiful experience to watch nature up close. You can bond together as a family or friends by hiring a guided tour or a private cruise.